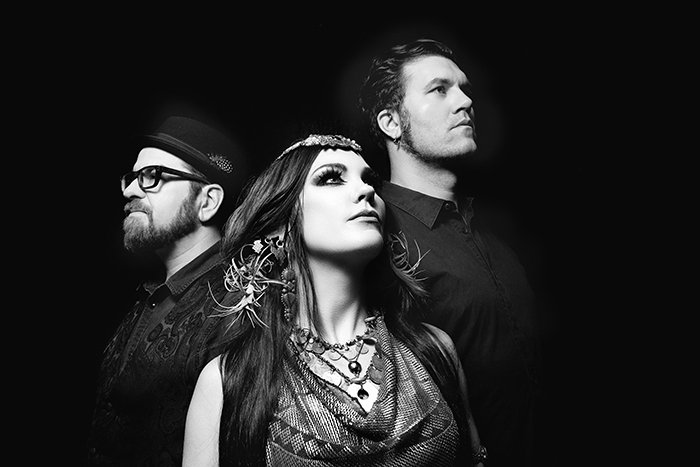 Beats Antique have been melding the sounds of the current EDM scene with the sonic landscapes of the globe for a decade. But what sets the trio of Sidecar Tommy Cappel, David Satori and Zoe Jakes apart isn’t just the diversity of their musical influences, or their shared roles as producers and composers in crafting it. It’s also in their studiously immersive and respectfully inspired approach to the cultures where they find their inspiration. From Jakes’ deep study of Indian, Middle Eastern and IndoFusion dance (to name a few examples) to Satori’s teachers both at home (“I had a teacher from Eastern Europe that taught with a lot of traditional folk songs,” he explained) and his travels abroad, the resumes of all three members of Beats Antique point to the conscious curiousness that marks the difference between travelers and tourists. This is certainly evidenced by the band’s stellar latest album Shadowbox (released on their own record label). While the album was produced in their Oakland studio/performance space/storefront, notable tracks draw on musical connections captured while the band was touring Europe and the Middle East a couple of years ago. In Moscow, the band found themselves entranced by their local host/show promoter’s dinner soundtrack. He put them in touch with the vocalist, Tatyana Kalmykova, and soon after the band found themselves in on an adventurous late night journey through the industrial outskirts of Moscow, a journey that led them to a lovely Hare Krishna-run studio tucked away in the concrete sprawl, to record some tracks with the singer. You can hear Kalmykova’s haunting vocals on “Three Sisters,” the opening track of Shadowbox. The same tour took the band to Tel Aviv. Again, they connected with a group of local musicians, led by Israeli musician and singer/songwriter Talya Solan. This collaboration featured a mix of players from both Israel and Lebanon, and comes to fruition in “Le Refuge.” The two vocalists — one singing in French and one singing in Arabic — ask for peace over a fluttering beat with rich instrumentation. But the band dives deep into the musical traditions closer to home as well. They have a long history of collaboration with multi-generational New Orleans jazz giants Preservation Hall Jazz Band. This stretches back to meeting Ben Jaffe, PHJB member and director of Preservation Hall itself, at Burning Man in the early days of Beats Antique. Jaffe became a fan, and later that year invited them to play at Preservation Hall after their set at VooDoo Fest. The friendship between the two bands has resulted in several recordings, most of which remain unreleased (for now), except for Shadowbox’s jaunty “Let It All Go,” a call to shake off whatever is weighing you down and holding you back. The limitless creativity and artistic freedom of Burning Man, which Satori cites as a driving force for Beats Antique even when they are playing far from Black Rock City, also led them to the artists of Hybycozo from East Oakland. The band was familiar with their striking lantern installations from the festival, and reached out to them to craft the set design for the Shadowbox tour. Beats Antique is marked by their visually creative presentation, which centers on the choreography of Jakes, and this latest approach, which utilizes relatively simple and low tech elements, is no exception. No matter where Beats Antique find themselves, whether it’s at their Oakland home base, a late night in NOLA’s Preservation Hall, the streets of Tel Aviv, or a dining room in Moscow, they strive to build genuine connections.